To grow plants or plant holobiomes? There is an enormous diversity of microorganisms directly or indirectly interacting with plants, with hundreds of thousands of different species and strains. Each one of these microorganisms houses its own genetic information, which is different from the plant’s. This complex gene system, formed by the microbial community, is normally called the plant’s microbiome and it is crucial to its nutrition and plant development. The main source of microbial diversity from which a plant selectively obtains its microbiome to meet its needs is the rhizosphere, a small soil space near the root containing thousands of microorganism cells (over 30,000 different species). Application of Arbuscular Mycorrhizae Glomus iranicum var. tenuihypharum var. nova in intensive agriculture, a study case. Intensive agriculture contributes to a decrease in microbial biomass and crop yields, while accelerating soil degradation. 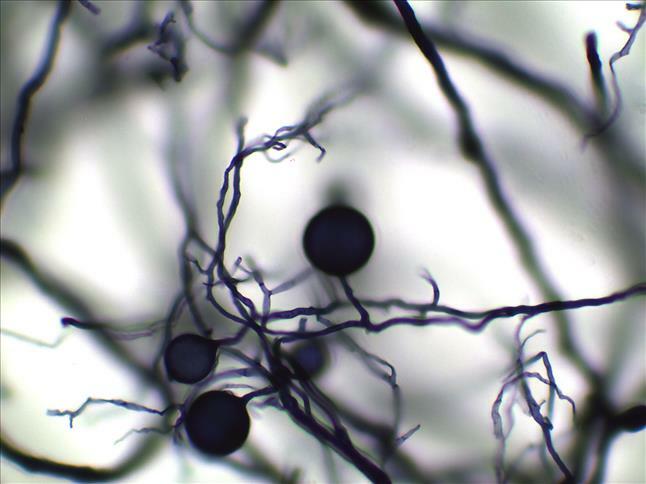 Arbuscular mycorrhizae associations have direct benefits for plant nutrition, and may be considered a useful tool in modern agriculture. Notwithstanding the widespread knowledge of these benefits, their use in intensive farming systems has until now been ineffectual, because most mycorrhizal species have low tolerance toward high concentrations of nutrients and are poorly adapted to the soil and/or mycorrhizal functioning. The aim of this work was to test the efficacy of an arbuscular mycorrhizal (AM) fungus, Glomus iranicum var. tenuihypharum on lettuce and table grape crops in different intensive farming systems. The variables studied were root colonization percentage, external mycelium concentration, gas exchange, photosynthetic activity, root starch concentration and plant nutrition. The main finding was that the fungus is tolerant of a wide range of soil pH values, high salinity levels and abundant external mycelium. In lettuce, it produced significant increases in plant physiological activity and productivity (10%-15%); and in table grapes, increases of 12%-45% in yield were achieved for more than three years in Crimson variety, and significant increases in fruit cluster weight, color uniformity and Brix (°Bx). The AM species is protected by two patents and is a component of MycoUp, MycoUp Activ, Resid HC and Resid MG, whose commercial application has spread to more than 30 countries, with increments in crop yields of 8%-45% in lines as varied as leaf vegetables, berries, fruit, olives, grapes, greenhouse crops and cereals. 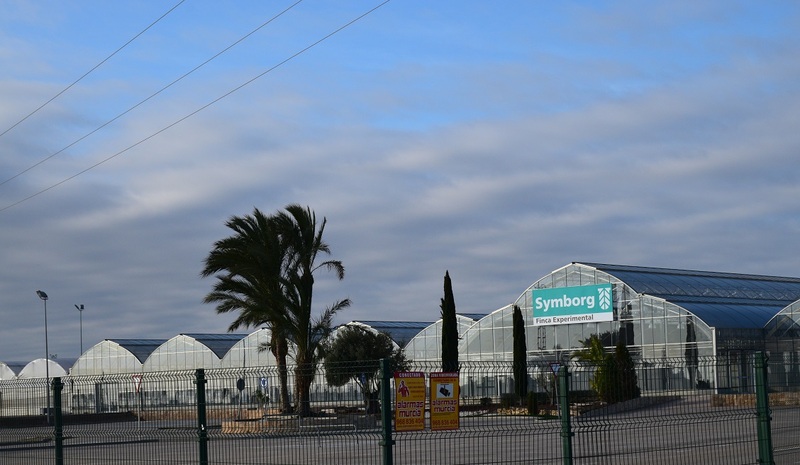 Symborg has a large experimental farm for biotechnological agriculture, to the south of Murcia in Spain. It consists of a large experimental plot for performing tests and assays directly on the various crops where we carry out multiple agrotechnological research and development activities. Here we perform evaluations of our current bio-stimulant and phytofortifier products as well as new lines being developed in Symborg. 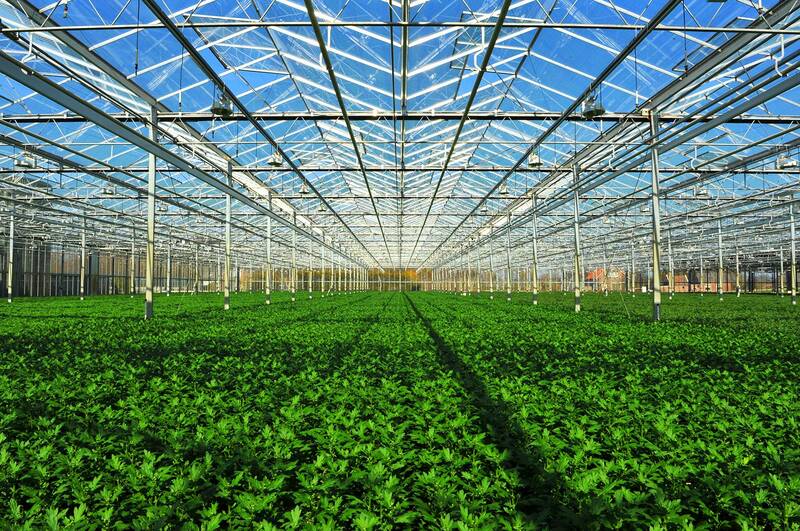 The farm is about 30,000 m2, of which approximately 10,000 m2 are used for cultivation, both in greenhouse conditions and in the open air. Our trial researchers and technicians evaluate the results on all types of crops under real conditions, including greenhouse vegetables (pepper, cucumber, tomato, courgette, strawberry, etc. ), fresh air produce (melon, lettuce, celery, etc.) and extensive cereal crops (corn, soybean, wheat, etc.). Capsicum annum L pepper is one of the most widespread cultivars in Almeria (Spain). In this region, three main pepper varieties are cultivated: Italian Sweet Pepper, Lamuyo and California. They cover a greenhouse area of 7000 ha in this region. For achieving a good fruit yield and quality, an exacting treatment with phytosanitary treatments, good quality water, high nutrient concentrations and soils rich in organic matter (from 3 to 4%) should be guaranteed. Products which optimize the water use efficiency and the plant nutrition and yield are increasingly used in current intensive agriculture. These inoculants include the arbuscular mycorrhizal fungi (AMF) which establish a symbiotic relationship with 85% of plants (Smith and Read, 1997) and improve their influence depending on the soil where hey are grown (Wu and coll., 2007; Herrera and coll., 2011). AM fungi are important in agriculture because of the benefits they provide such as the improvement of nutrient and water uptake and the increase of the plant’s root system (Rivera and coll., 2005; Hamel and Plenchette, 2007). Although mycorrhizal colonization provides a bioprotectional effect on plants, its commercialization is not yet a widespread practice in agriculture due to its inappropriate usage and the low resistance of the varieties planted following an agricultural system based on a nutrition intense management (Gadkar and coll., 2001; Herrera and coll., 2011). The commercial mycorrhizal inoculant MycoUp, produced by Symborg S.L., should be applied by a drip irrigation system. This product contains an arbuscular mycorrhizal fungus, Glomus iranicum var. tenuihypharum var. nova, isolated from a sodium-saline soil and high production of external mycelium, intense root colonization and resistance to high nutrient concentrations (Fernández and Juárez, 2012). 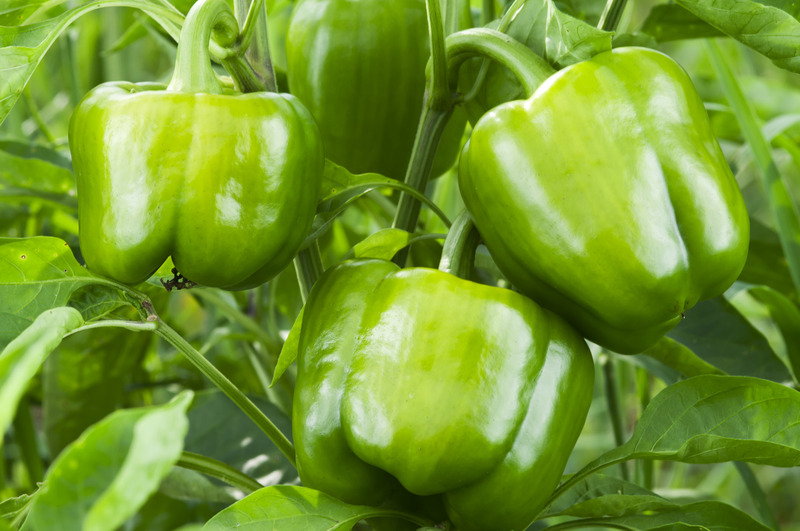 The aim of this research is therefore to assess the influence of MycoUp in the nutrients of soils and plant yield and quality of a pepper cultivar. Currently, irrigation using recycled water is in- creasing, especially in semiarid environments, but a potential problem of using reclaimed wastewater is its elevated salt levels. The application of arbuscular mycorrhizal fungi (AMF) could be a suitable option to mitigate the negative effects produced by the salinity. In this work, the combined effect of Glomus iranicum var. tenuihypharum and two types of water: Control, C, with EC <0.9 dS m−1 and reclaimed water (wastewater previously treated in a sewage treatment plant) with EC 4 dS m−1 during a first saline period (11 weeks) and with EC 6 dS m−1 during a second saline period (25 weeks), was evaluated for laurustinus (Viburnum tinus) plants under field conditions. This plant is a popular shrub very used for gardening. Chemical properties of soil as well as physiological behavior, leaf nutrition, and esthetic value of plants were evaluated. Due to the high salinity from wastewa- ter at 6 dS m−1, laurustinus plants decreased their stem water potential values and, to a lesser extent, the stomatal conduc- tance. Also, the visual quality of the plants was diminished. The inoculated AMF satisfactorily colonized the laurustinus roots and enhanced the structure of the soil by increasing the glomalin and carbon contents. Furthermore, G. iranicum var. tenuihypharum inoculation decreased Na and Cl content, stimulated flowering and improved the stem water potential of the plants irrigated with both types of reclaimed water. The AMF also had a positive effect as a consequence of stimula- tion of plant physiological parameters, such as the stem water potential and stomatal conductance. Effective AMF associa- tions that avoid excessive salinity could provide wastewater reuse options, especially when the plants grow in soils. The present study evaluated the effects of inocula- tion with arbuscular mycorrhizal fungi (AMF; Glomus iranicum var. tenuihypharum sp. 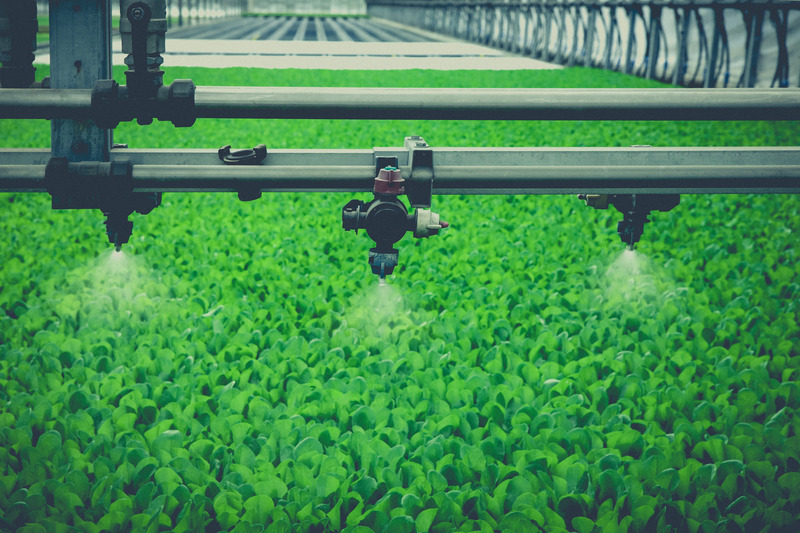 nova) on the physiological performance and production of lettuce plants grown under greenhouse conditions and supplied with reclaimed water (RW; urban-treated wastewater with high electrical conduc- tivity; 4.19 dS m−1). Four treatments, fresh water, fresh water plus AMF inoculation, RW and RW plus AMF inoculation, were applied and their effects, over time, analyzed. Root mycorrhizal colonization, plant biomass, leaf-ion content, sto- matal conductance and net photosynthesis were assessed. Overall, our results highlight the significance of the AMF in alleviation of salt stress and their beneficial effects on plant growth and productivity. Inoculated plants increased the abil- ity to acquire N, Ca, and K from both non-saline and saline media. Moreover, mycorrhization significantly reduced Na plant uptake. Under RW conditions, inoculated plants also showed a better performance of physiological parameters such as net photosynthesis, stomatal conductance and water-use efficiency than non-mycorrhizal plants. Additionally, the high concentration of nutrients already dissolved in reclaimed wa- ter suggested that adjustments in the calculation of the fertigation should be conducted by farmers. Finally, this ex- periment has proved that mycorrhization could be a suitable way to induce salt stress resistance in iceberg lettuce crops as plants supplied with reclaimed water satisfied minimum legal commercial size thresholds. Moreover, the maximum values of Escherichia coli in the reclaimed water were close to but never exceeded the international thresholds established (Span- ish Royal Decree 1620/2007; Italian Decree, 2003) and hence lettuces were apt for sale. In the present study, carried out in South-eastern Spain, a commercial arbuscular mycorrhizal fungus (AMF; Glomus iranicum var. tenuihypharum sp. nova) was introduced through drip irrigation to inoculate Crimson grapevines. Their effects on the physiological and nutritional activity were evaluated for 2 years (2011–12). Additionally, during the second year of experimentation, the persistence of mycorrhizae on the grapevine and their effects were innovatively analysed. The AMF satisfactorily colonized the Crimson grapevine roots, improved the plants water status, induced an improvement in the photosynthetic performance that increased the water use efficiency, promoted the uptake of phosphorus (P), potassium (K) and calcium (Ca) and led to a mobilization of starch reserves in the apex in winter, which was possibly responsible for enhancing root development. Moreover, inoculated plants had significantly increased yield and improved quality of grapes, which led to early grape maturation. Overall, the persistent effect of AMF during the second year produced similar positive effects, although to a lesser extent, to those obtained in the inoculated treatment. The results found in the present study show that this AMF application technique can be recommended for sustainable agriculture in arid and semi-arid areas. Moreover, as a result of the competition with the native mycorrhizae, periodic monitoring of the percentage of mycorrhizal colonization and re-inoculation in order to obtain all the positive effects evidenced in the inoculated treatment is recommended. Two different doses of an arbuscular mycorrhizal fungus (AMF; Glomus iranicum var. tenuihypharum sp. nova) were applied through a drip irrigation system to evaluate their effects on the physiological, nutritional, and agronomic performance of tomato plants. 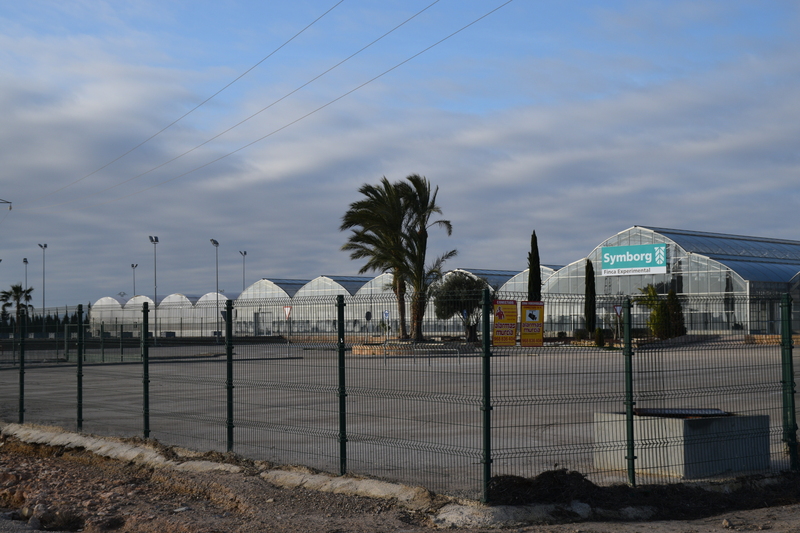 Trials were conducted in south-eastern Spain under controlled greenhouse conditions from September – December 2012. The high rate of AMF colonisation at both doses applied improved plant growth performance, leading to significant increases in leaf macro- (N, P, K, Ca and Mg) and micro- (Fe, Cu, Zn, Mn and B) nutrient concentrations. The AMF present in colonised plants not only exerted some control over the rate of transpiration (stomatal control), but also maintained a higher rate of net photosynthesis and hence improved the intrinsic water use efficiency (computed from the ratio of the rate of net photosynthesis:stomatal conductance). In addition, a close relationship was found between the respiratory activity of the AMF and the rate of net photosynthesis, leaf N, P, Fe, and K concentrations, and fruit yield (expressed as the product of the average number of fruit the average fruit weight in each treatment). 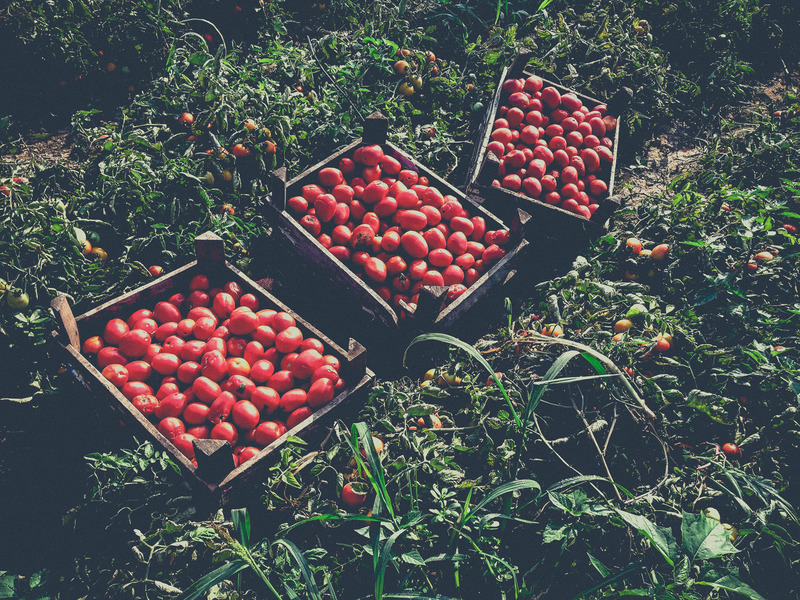 In summary, the application of AMF was effective at improving the performance (i.e., the growth, nutrition, and yield) of tomato plants cultivated under an intensive fertigation regime.